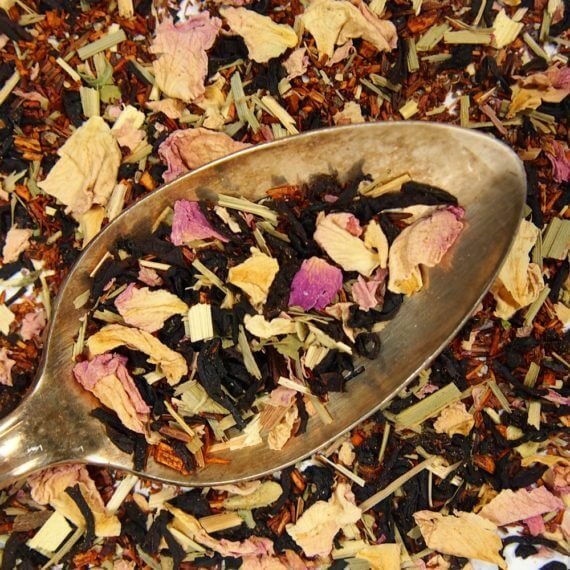 This rose chai tea / almond chai blend is inspired by our hometown of Portland, Oregon — yes, the Portlandia one. 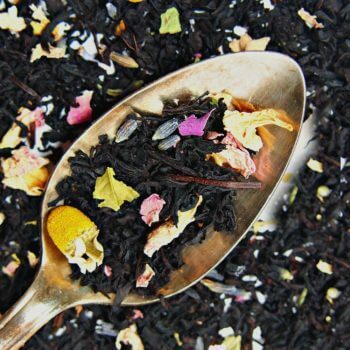 Packed with Oregon rose petals, almond, spices, lemongrass, black tea, and hints blackberry, you’ll enjoy the fresh flavors of the Rose City in your cup. 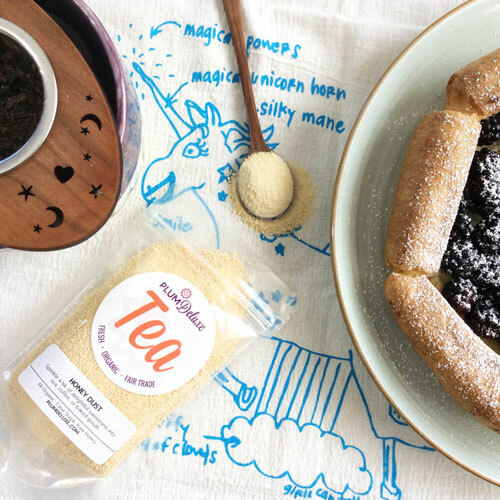 We’ve never encountered a chai quite like this, and neither will you. The aroma itself is addictive! I love chai, but was skeptical at first. SO WRONG! I love chai teas, especially spicy chai's. I ordered this anyway because I'd heard so many good things and wanted something new. Turns out all of those people giving rave reviews were RIGHT and my initial skepticism was WRONG. Or just uninformed, maybe. The almond flavor added a nice lift, while the rose petals were an asset, not a liability (and not the off note I'd expected.) 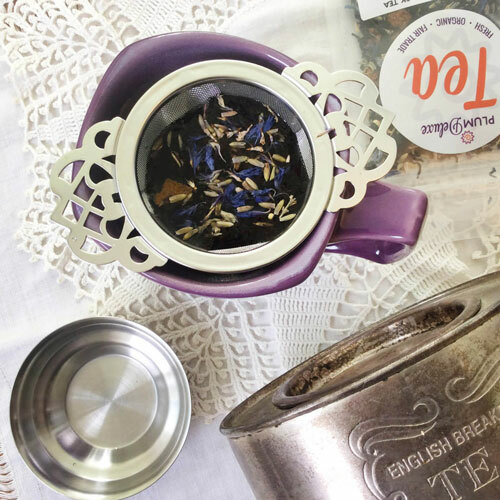 A great cuppa to brew for a rainy weekend afternoon tea with sweetener and cream! I bought this tea on a whim, Not really knowing what I was going to get. 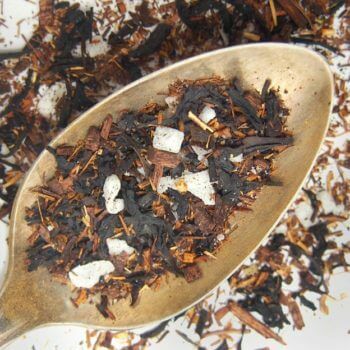 But it’s turned out to be my favorite chai tea blend. I even went back and bought some more after I got my shipment of it the first time! 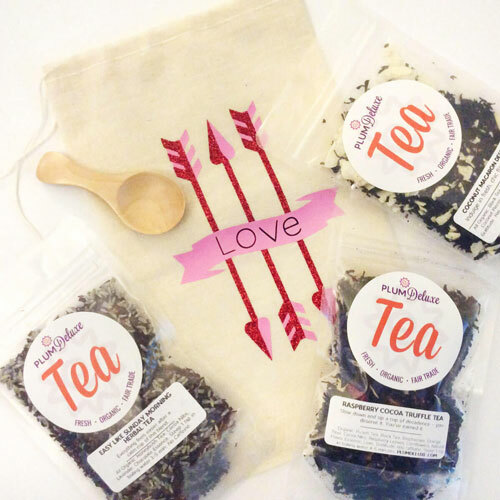 Sweet and warm, you really get the almond notes in this tea as well (almond is my favorite flavor). Highly recommend!! This tea is beautiful. It's not too spicy, but rather the spice compliments the flavor profile without being overpowering. 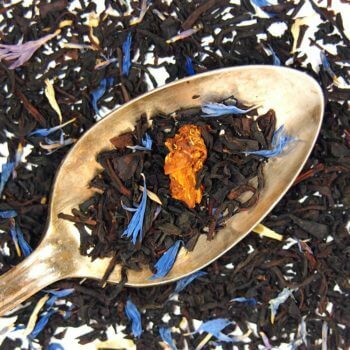 The Rose flavor makes the tea very aromatic and comforting. 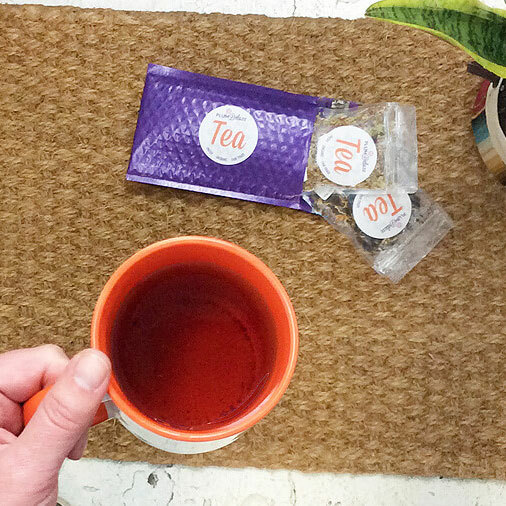 It's just a beautiful tea to drink on a cold or cloudy day and curl up with a good book. I've never tasted a tea like this before. It's tasted beautiful and got my mind racing with creativity. It's slightly spiced but mostly aromatic with the roses. Its neither bitter or heavy. think I could drink this without sweetener. 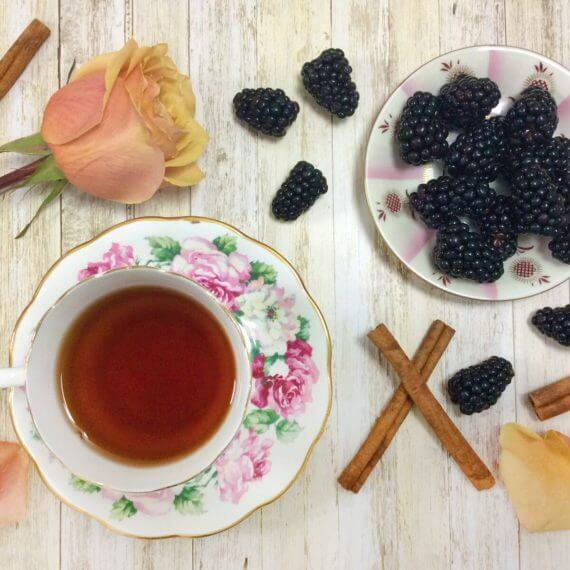 Ingredients: Black Tea, Almond Rooibos, Oregon Rose Petals, Cardamom, Ginger, Cinnamon, Lemongrass, Blackberry Essence, Love, Gratitude. Contains Caffeine. Preparation Instructions: Use 1 1/2 tsp per 16oz cup. Steep with boiling water for 3-5 minutes. Suggested Uses: Perfect with rock sugar and a dash of cream. Whips up into a beautiful chai latte or even a cocktail. Great while watching an episode of Portlandia!